The world's greatest thieves are back in action!!!! After the events of Rogue Accord VoL.1 and Swift Killas:Vengeance (YEUP, they are intertwined!!!) The crew of Rogue Accord returns. BECAUSE THE FANS SAID SO!!!! When the world is in danger the President of the United States turns to the world's greatest rogue to save the day. Now Celena must reunite her old crew to battle an enemy who knows their every move but how much can they foresee when she moves at her own accord. From the White House to the streets of London Celena must steal the most valuable item her crew has ever tried to pinch. For a non-stop action filled ride you needn’t go far. 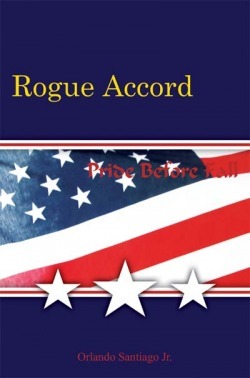 Open this book and join the crew of Rogue Accord on their greatest adventure yet!